Contact us to receive this whitepaper as a WordDoc. Why an Interest in EQ Coatings? The Steel Industry is a highly competitive world market. 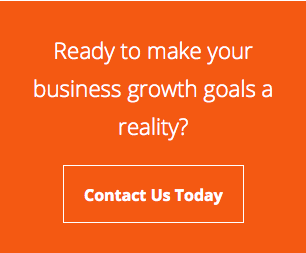 The industry is always in search of innovative and fresh manufacturing methods to improve quality and lower costs. One wouldn’t automatically think the metal stud industry utilizes cutting edge technology to create their products, since studs are well hidden and only visible during construction, but this is a common misconception. Progression in the engineering of stud design and stud manufacturing processes has followed a challenging path similar to that of the more well-known automotive industry. Throughout the years, the automotive industry has seen the approval of countless regulatory guidelines, pressuring automotive manufacturers to become innovative in their processing, leading to the creation of better operational processes, new metallurgical steels, new technology development in roll forming and stamping methods, plus the creation of new coatings to provide better corrosion resistance and impart specific characteristics, such as weldability and improved formability. Just as these regulatory guidelines pushed automotive manufacturers to innovate, the metal stud manufacturers were driven by the need to remain competitive against alternative building materials (eg. wood and concrete). Metal studs are sold and priced by the pound, so the need to be market competitive added pressure for stud manufacturers to engineer innovative designs and processes that drive out costs while creating products that are equal to or superior to the products already available. These innovations can be seen through many advancements; one such example being the creation of special tooling that imparts specifically designed shapes and ridges which work to improve strength (yields) while reducing both gauge and weight. EQ Coatings were developed to provide equivalent or superior corrosion protection, compared to approved metallic coatings that are listed in the ASTM A1003 standard for metal studs. While the “EQ” stands for Equivalent, EQ Coating manufacturers and test data insist that EQ Coatings are nothing short of being superior coatings. Members shall have a protective coating conforming to Specification A653 – G 40 minimum or have a protective coating with an equivalent corrosion resistance. 9.1.3.1; No more than 10% loss of coating… at the end of the prescribed test duration. 9.1.3.2; Minimum exposure for type NS steels is 75 h.
The manufacturer must show that the EQ coating is more than 50% metallic. 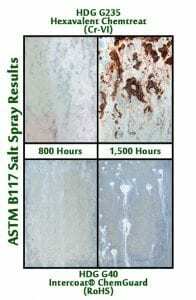 It must submit to ASTM A1004 and ASTM B-117 Salt Spray tests per the listed protocols and sample quantities. In summary, for drywall framing, the IBC Code refers to ASTM standard C645 for guidelines. Relative to EQ Coatings, the other standards that reference guidelines for the performance are ASTM A1003, ASTM A1004 and ASTM B117. How do EQ Coatings Work? EQ Coatings are primarily (or entirely) composed of metallic compounds and are highly conductive. Due to their unique chemical nature, EQ Coatings require zinc, zinc alloy or zinc-iron alloy metallic coated base substrate to effectively work. EQ Coatings are Not Barrier Coatings, unlike more common coatings such as pretreatments, sealers, TFA’s (Thin-Film-Acrylics), primers and/or prepaints. EQ Coatings permanently (chemically and covalently) bond and integrate into the zinc, zinc alloy or zinc-iron alloy metallic coated substrate and become a singular composite coating system. It is this characteristic that provides the tremendous corrosion resistance properties. In some EQ Coating systems, cut edge and scratch resistance are so enhanced, compared to traditional standard metallic coated systems, that some EQ Coatings can provide self-healing characteristics. 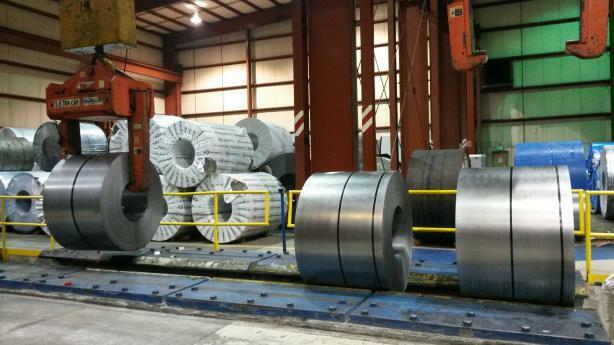 Typical G40 HDG or A40 Galvanneal metallic coated substrates are manufactured according to the ASTM A653 Standard for Galvanized Sheet Steel and are expected to have .40 oz./ft² (total for both sides) of coating weight (mass). The standard (A653) allows for a range in the galvanized coating weights but must have a minimum coating weight of .30 oz./ft² (total both sides). In closer review of the standard, the actual coating weight can be as low as .12 oz./ft² on a single side. The photo below shows the full coating weight range of a typical G40 HDG metallic coating that can be purchased from a steel mill and still be within the approved specification range. 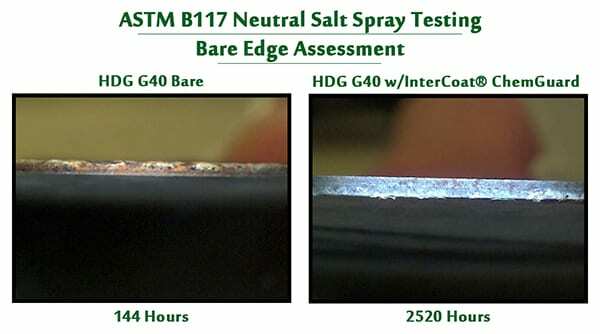 In review, the coating weights at the lower end of the G40 specification do not perform very well in an ASTM B177 salt spray test. Even coating weights at the high end of the G40 standard show 100% white rust at 48 – 75 hours. The galvanizing process can create vast valleys, fractures, pits and porosity in the zinc metallic surface. EQ Coatings are applied via a reverse roll coating application on a coil coating line and then cured with an IR or conventional oven. The combination of the coating and the process allows the EQ Coating to penetrate deep into the fractures and valleys within the zinc metallic coating, where it proceeds to chemically react with the zinc, sealing it off from the environment. It is this unique process and reaction that provides the tremendous corrosion protection associated with EQ Coatings. EQ Coating and a zinc metallic coating are more than just a basic coating. When combined, they become a singular permanent integrated composite coating. The unique level of corrosion protection provided by an EQ Coating allows metal stud manufacturers to utilize substrates that do not meet minimum metallic coating weight (mass) requirements of ASTM A1003 but when enhanced with a singular composite integrated EQ Coating system, they can provide extensive corrosion protection that meets or exceeds the corrosion expectations associated with the metallic coating weight ranges referenced above. As mentioned earlier, EQ Coatings were specifically designed and created for the metal stud industry. They were designed to be applied to excess automotive Galvanneal, HDG or Electro-Galvanized, be cold-reduced by 20% to 50% after coating, slit down and then roll-formed into finished metal studs. EQ Coatings have been shown to outperform other mill applied or other post applied coatings. Some EQ Coatings are formulated to provide superior cut-edge and scratch protection. In the photo, the flat test panels on the top show cut edge and scribe performance, as compared to the G40 control pictured at the bottom. In this section of the ASTM A1003, the standard recommends specifying substrates with better corrosion performance when in severe environments, such as G60 or G90 HDG. EQ Coatings can easily accommodate this requirement at a fraction of the cost, compared to zinc premiums on substrates above G40. Since September of 2011, when Eco-Green Coatings, a division of Chemcoaters, developed their EQ Coating known by the trade name as InterCoat®ChemGuard, there have been over 500 million linear feet of EQ coated studs sold in the marketplace without a single claim for corrosion in the field. Transportation; one large vehicle manufacturer has specified InterCoat®ChemGuard into the floor of their vehicles. They now offer a 10-year warranty over the traditional 5-year warranty for corrosion protection. Service Centers are specifying InterCoat®ChemGuard to eliminate transient rust when coils are shipped from the Midwest to Mexico. Major U.S. Appliance manufacturers are testing InterCoat®ChemGuard to improve corrosion issues in dishwashers and laundry applications. Major HVAC manufacturer utilizes InterCoat®ChemGuard as a hybrid primer for roof-top units to improve corrosion protection. Major U.S. steel door manufacturer is testing InterCoat®ChemGuard to improve corrosion and reduce field corrosion claims. Major U.S. steel mill is currently running InterCoat®ChemGuard trials to replace hexavalent chromium chemtreatment with a RoHS compliant trivalent non-hazardous InterCoat®ChemGuard 300 coating and still gets the same corrosion (or better) than the hexavalent chromium Chemtreat. It is important for steel driven industries to continue to innovate and stay ahead of the competition provided by alternative materials. The Automotive industry is faced with aluminum and carbon composites competition. The Appliance and HVAC industries are utilizing more plastics. The Building & Construction industry has wood, concrete and composite products to compete against. Many of the EQ Coating manufacturers and applicators service all of the various steel industries. The synergies that exist between all of these steel markets produce unique opportunities for technology advancements, such as EQ Coatings, to service multiple industries rather than a single market. It is advancements like this that will ultimately lead to driving down costs and allow steel products to remain competitive among these vast and diverse marketplaces. 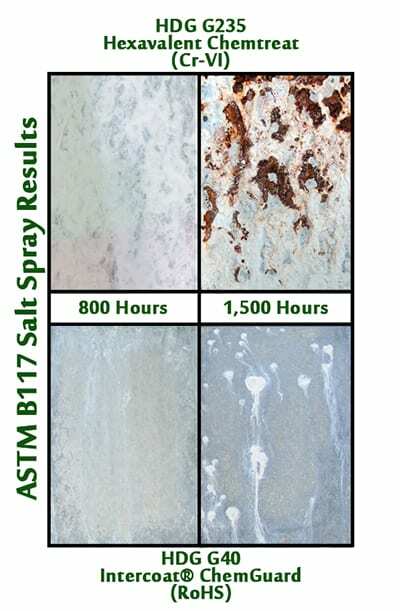 Despite some resistance to change, the quality and performance of these innovative coatings are clearly defined in the ASTM standards that have been in place for over a decade and that is because these standards were written to accommodate innovation in coating technologies and provide defined test methods to insure adequate levels of performance for the application. 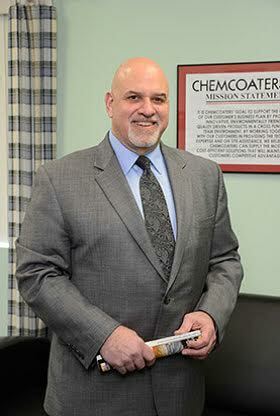 William R. Capizzano, is President and board member of Eco-Green Coatings, LLC and Chemcoaters, LLC in Gary, IN and has been employed in the coil coating industry since 1978.